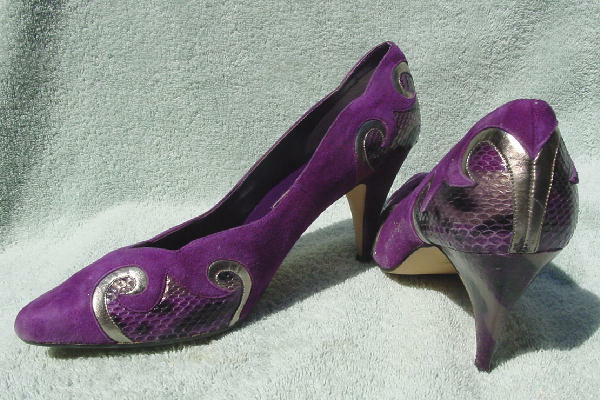 These purple suede pumps have accents in black, purple, and muted silver snakeskin and swirls in silver lame. They have pointed toes with a wave design along the upper edges. 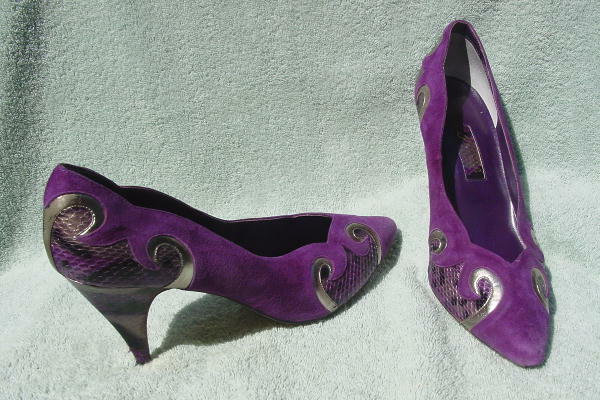 There are purple leather linings and insoles.